It’s been just shy of two years since the release of Lisa Mann & Her Really Good Band’s last CD and as expected – its still a really good band. Led by Lisa Mann, on bass and vocals, Her Really Good Band consists of Jeff Knudson on guitars, Michael Ballash on drums, and Brian Harris on keys. Guest artists include: Lloyd Jones on vocal and guitar; Kevin Selfe on guitar; Dave Melyan on drums; Alex Shakeri on keys; Mitch Kashmar and Joe Powers on harmonica; Brian Foxworth on drums & backup vocals; LaRhonda Steele and Rae Gordon on backup vocals; Sonny “Smokin” Hess on guitar & backup vocals; Kevin LaBaron on saxophone; Joe McCarthy on trumpet; Dan Fincher on tenor sax; Brad Ulrich on baritone sax; and Caton Lyles on percussion. Although I know the title of this song has nothing to do with it, by being old enough to remember the “Popeye” cartoons, the opening track sure did make me think one of it’s characters. On this original recording the line Lisa uses to brush off people who annoy her is “See You Next Tuesday”, obviously avoiding any immediate – and possibly future confrontation. Very much like the glutinous “Wimpy”, the “Popeye” character who constantly uttered the phrase “I’ll gladly pay you Tuesday for a hamburger today” as he attempted to avoid paying…..possibly ever. Musically, this track features the four band members doing what they do best – being a really good band. “Satisfied” is a song by one of Lisa’s inspirations – the late Little Milton. Once again it’s another track that features the basic four and that usually means smokin’ rhythm from Lisa, Michael and Brian on the bass, drums and keys and lots of hot guitar leads from Jeff. There’s no questioning her sincerity as Lisa emotionally admits it’s time to “Surrender To The Blues”. This may very well not just be the disc’s best song but possibly the best song I’ll hear all year long. There’s a phrase I repeatedly use to describe songs of this caliber and here it is – this is song of the year material. 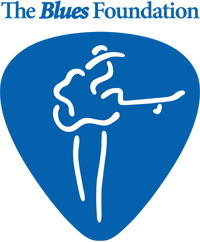 To me, this is what the blues is all about….well written melancholy lyrics that are sung with the heart and soul, slow and steamy rhythm that features deep and sultry horns and beautiful piano highlights, and of course, scorching guitar leads. Lisa, Jeff, Michael, Brian and the whole horn section – you all nailed this one. Thanks for making me feel this good. Another of Lisa’s nine original tracks is “Catch Me When I Fall”. In addition to Lisa and Michael providing their usual strong rhythm, “Smokin” Sonny Hess’ masterful guitar work and Kevin Labaron’s wailing sax make this another strong track. “Alone” is a very appropriately titled song that Lisa chose to do as a solo. It’s all about her beautiful voice and her bass guitar. Really well done. Another of the four covers includes a retro sounding track called “Don’t Touch Me Baby”. This one’s highlighted by Lisa absolutely belting out the blues, and some incredibly amazing guitar playing by someone I’ve had the pleasure of working with in the past – Kevin Selfe. Another awesome tracks deserving of several replays. Other tracks on “Satisfied” include: “Gamblin’ Virgin Mary”, “Have I Told You I Love You Today?”, “Always Nobody”, “Till The Wheels Come Off”, “I Was Gonna”, “Kings Of Gold” and “Doin’ Alright”. Over the years Lisa Mann has won many awards given out by her local blues society – The Cascade Blues Association – and I’m happy to say that I was in the audience when she represented them in the 2011 International Blues Challenge. Had the judges felt as I did, she would have won. 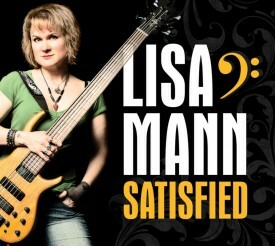 To get to know more about Lisa Mann, you can visit her at www.lisamannmusic.com. When you do, please tell her she’s totally “Satisfied” the Blewzzman.